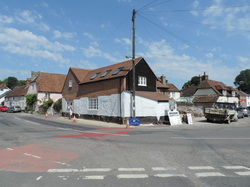 Proceeds from our grand Auction of Promises will help pay off some of our loan for our brand new youth and community centre here in the heart of Aldbourne: "Community Junction." Thank you to everyone who has contributed lots for our auction or made a successful bid for one of the very special items given. We are extremely pleased to announce that the auction made a whopping grand total of £16,000! 20 young people served 86 people at a black tie event. A mammoth task but what a fantastic result! Thank you for your support. Pop in and browse at The Junction when you are next passing by. You can be assured of a very warm welcome.